Join us Sunday evening February 21, 2016 At 6:00 pm CST! 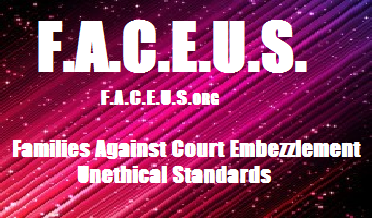 Luanne Fleming and Robin Austin are advocates with Families Against Court Embezzlement Unethical Standards (F.A.C.E.U.S.). F.A.C.E.U.S. began when we found ourselves in Probate Court. Many labor under the illusion courts promote justice. find themselves in court entanglements only to discover too late not only is there no justice in sight, but the Court system itself works more like a criminal extortion racket than in the service of Justice. Once we discovered how corrupt the system is we sought out others similarly afflicted, and began a theft fraud report with Senator Laura Woods. We have over 35 families and growing, with 2 Senators, putting in new laws for Probate. 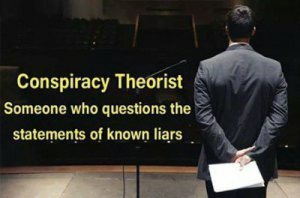 We have several media outlets, including Radio, 2 Television channels, 2 good attorneys working on our side to expose this corruption. Our motto “giving up is not an option” We currently know of 6 bills being submitted. TS RADIO: F.A.C.E.U.S..org With Luanne Fleming and Robin Austin as Guests on Marti Oakley Blog Talk Radio February 21, 2016. | F.A.C.E.U.S.